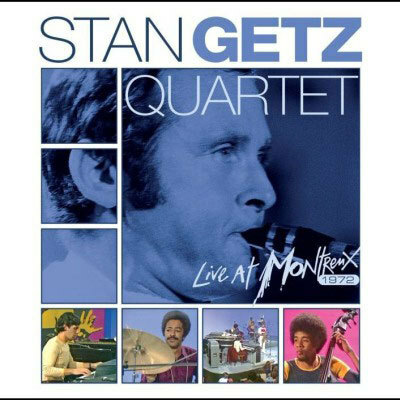 Recorded in 1972 at the Montreux Jazz Festival, this sold-separately CD and DVD release captures Getz in aggressive form as he digs into newer repertoire items “Captain Marvel,” “Day Waves,” “Windows,” “La Fiesta” and “Times Lie,” all composed by Chick Corea. 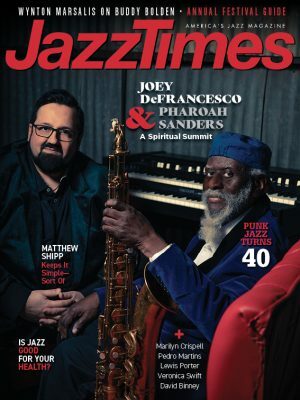 Even the ballad staples “Lush Life” and “I Remember Clifford” heat up when the tenor saxophonist’s new rhythm section-pianist Corea, bassist Stanley Clarke and drummer Tony Williams-shifts gears behind him. After a decade of performing mostly straight-ahead fare along with bossa-nova tunes that he famously adapted to jazz, Getz gravitated to the changing ’70s jazz scene in style. However, one could question whether this was his best milieu or not. “Captain Marvel” finds the saxophonist rapidly repeating staccato notes and running briskly into the high register. On “La Fiesta” he emphasizes more high notes and trills and bold, energetic lines. On “Time’s Lie,” Clarke’s galloping bass and Williams’ busy solo inspire Getz throughout a hot, concert-ending coda. There is a certain unaccustomed stridency in Getz’s playing in these performances, and the band makes good use of dynamic contrasts throughout. In keeping with the contemporary jazz scene of the late ’60s and early ’70s, Corea primarily plays electric piano. Before the tour that brought this band to Switzerland, Corea and Clarke had been playing together in Return to Forever, to which they would return afterward. Williams, who had spent much of the ’60s with the Miles Davis Quintet, certainly had to adapt to Getz. Judging from this performance, he adjusted his style fittingly for the saxophonist’s new extroverted playing without overwhelming him. This was a challenging period in Getz’s career, but one that he faced with musical integrity.